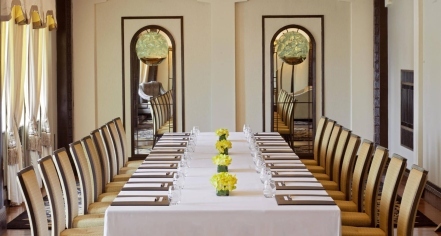 Fairmont Peace Hotel offers professional meeting spaces that reflect the expectations and needs of the city of Shanghai. 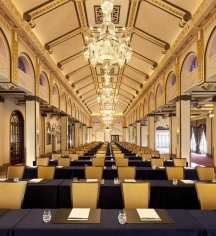 Services such as expert event planners, state-of-the-art technology, and enviably large spaces of almost 20,000 square feet are the reason the Fairmont Peace Hotel is the premier meeting location in Shanghai. Several packages are available that include catering, drinks, decorations, free parking, and even gift certificates.